IT IS MY FERVENT HOPE AND PRAYER THAT YOU, YOUR FAMILY AND YOUR FRIENDS WILL ENJOY THIS MOST IMPORTANT DAY OF CELEBRATION IN ALL OF CHRISTENDOM. THIS YEAR HAS NOT BEEN WITHOUT ISSUES. WE HAVE SEEN THE BEST AND THE WORST OF HUMANKIND. BUT THROUGH ALL OF THE SOCIAL MEDIA INSANITY, THE POLITICAL LUNACY AND THE EVENTS THAT MAKE US THINK THINGS MIGHT NOT BE GOING SO WELL - JUST TAKE TODAY AND ENJOY THE SPIRIT THAT THE BIRTH OF CHRIST BRINGS. MERRY CHRISTMAS AND HAPPY TRAILS IN THE COMING YEAR NOMADS. ARGUABLY, THE GREATEST RELIGIOUS WORK OF MUSIC EVER WRITTEN IS GEORGE FREDERIC HANDEL'S ORATORIO MESSIAH. AND THE GREATEST SINGLE WORK FROM THAT MASTERPIECE IS THE HALLELUJAH CHORUS. PLEASE ENJOY THREE DIFFERENT ARRANGEMENTS OF THIS GREATEST OF CHRISTIAN ANTHEMS. 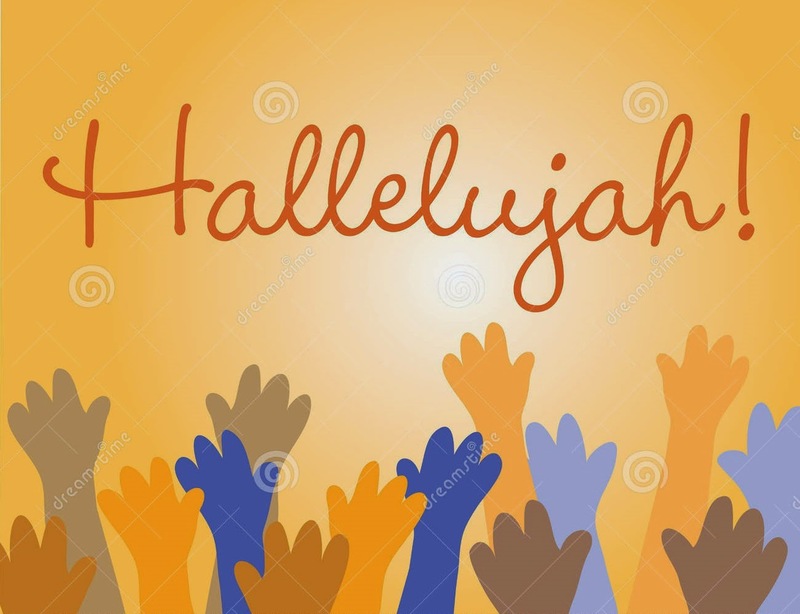 HALLELUJAH BY ONE OF AMERICA'S GREATEST CHOIRS AND ORCHESTRAS- THE MORMON TABERNACLE CHOIR. AND TO CLOSE OUT THIS YEAR'S COUNTDOWN - RAY LAMONTAGNE MAKES ME THINK ABOUT THINGS - THINGS THAT REALLY MATTER. AND HE HAS ONE OF THE MOST SOULFUL VOICES RECORDING TODAY. THIS FINAL TUNE - A TOUCHING, HEARTFELT PERFORMANCE OF RAY CHARLES' THE SPIRIT OF CHRISTMAS. In researching songs for The Countdown until I am now completely deaf, I ran across an interview with Anne Morse, the author of a new novel entitled Bedford Falls, a "sequel" to one of the most watched Christmas movies in history - It’s A Wonderful Life - starring James Stewart and directed by Frank Capra. It's basically a story about the value of one man's life to others in his life. And it has a spiritual context because there is an angel involved. Just click here to read the entire interview. This is the message behind the comedy, the romance, the trials and temptations — everything." That is a thought worth committing to memory in your head and your heart. Merry Christmas and Happy New Year! NO. 2 ON THE CHRISTMAS COUNTDOWN - SANTA WILL BE HERE TONIGHT - GUARANTEED! TODAY IS THE SECOND BIGGEST DAY OF THE SEASON. THE KIDS CAN'T GO TO SLEEP AND MOM AND DAD ARE UP LATE PUTTING LORD KNOWS WHAT TOGETHER. HERE ARE SOME TUNES THAT WILL GET YOU THROUGH THE NIGHT. BE SURE AND LEAVE OUT THOSE MILK AND COOKIES. AND DO NOT TELL YOUR KIDS THERE IS NO SANTA - EVER! THE BOSS AT CHRISTMAS - DECEMBER 7, 1984 - SPRINGSTEEN AND THE E-STREET BAND. ONE OF THE GREATEST CONCERTS EVER - THE BORN IN THE USA TOUR - SPRINGSTEEN, E-STREET AND CLARENCE, THE COOLEST SAX PLAYER ON THE PLANET, PERFORMED THIS KILLER VERSION OF SANTA CLAUS IS COMING TO TOWN AT CHRISTMAS IN LITTLE OLD TALLAHASSEE. GO FIGURE! ONLY BOB DYLAN - ONE OF THE TRUE POETS OF OUR GENERATION AND WRITER/PERFORMER OF SUCH CLASSICS AS LIKE A ROLLING STONE AND MAGGIE'S FARM - COULD COVER A POLKA VERSION OF IT MUST BE SANTA AND MAKE IT WORK. WRITTEN BY HAL MOORE AND BILL FREDERICKS, IT WAS FIRST RECORDED BY NONE OTHER THAN FOLLOW THE BOUNCING BALL'S MITCH MILLER - WOW! I AM GETTING OLDER! SOMETIMES YOU FIND A SONG YOU JUST CAN'T LET GO OF - HERE IS LEON REDBONE WITH DR. JOHN ON KEYBOARDS AND KEN PEPLOWSKI, JAZZ CLARINETIST, PERFORMING A TUNE FOR ALL OF YOU THAT NEED TO CRY IN YOUR BEER OR EGG NOG OR OTHER BEVERAGE OF YOUR CHOICE - CHRISTMAS BALL BLUES - ON THIS CHRISTMAS EVE. THE CONVERSATION AT THE END OF THE VIDEO IS A TAD WEIRD- BUT IT'S STILL A GREAT TUNE. CHRISTMAS EVE BONUS - BOB HOPE AT CHRISTMAS. A FRIEND EMAILED ME THIS VIDEO AND I JUST FELT LIKE SHARING IT WITH ANYONE WHO WANTS TO SEE THE GIFT OF CHRISTMAS FROM ONE OF AMERICA'S TRULY GREAT ENTERTAINERS. FOR MORE THAN FORTY YEARS BOB HOPE ENTERTAINED OUR MEN AND WOMEN OF THE MILITARY - BRINGING LAUGHTER AND TEARS TO THOUSANDS WHO HAVE SERVED AND CONTINUE TO SERVE IN THE DEFENSE OF AMERICA AND FREEDOM AROUND THE WORLD. Remember The Wise Men didn't need GPS, just Divine Guidance. Merry Christmas! ONLY TWO DAYS UNTIL THE BIG GUY COMES DOWN THE CHIMNEY WITH HIS SACK OF STUFF JUST FOR YOU AND YOURS - I HOPE THESE TUNES GET YOU IN THE MOOD. HOW DOES HE DO THAT? I THINK ITS MAGIC. THREE BROTHERS FROM SAN ANGELO, TEXAS GIVE US A LITTLE TEXICAN ROCK & ROLL TUNE FOR THE BIG DAY. LOS LONELY BOYS REMIND US JUST HOW GREAT CHRISTMAS IS. THE BEACH BOYS - ONE OF THE MOST INFLUENTIAL POP GROUPS IN HISTORY DID CHRISTMAS RIGHT TOO. AND FINALLY THE KING - NOBODY EVER RECORDED BLUE CHRISTMAS LIKE ELVIS - HERE IS A LIVE VERSION WITH HIS SMALL RHYTHM SECTION SURROUNDED BY ADORING FEMALE FANS IN 1968. THIS WAS UNPLUGGED BEFORE UNPLUGGED WAS COOL! GREAT SINGERS COME IN ALL STRIPES AND IN ALL GENRES OF MUSIC. OPERA SINGERS BRING UNIQUE TALENTS, TRAINING AND BEAUTY TO THE HUMAN VOICE. TODAY'S COUNTDOWN ARTISTS SHOW US WHAT TRULY INSPIRED SINGING SOUNDS LIKE. ANDREA BOCELLI HAS COME TO DEFINE THE ESSENCE OF TRULY BEAUTIFUL, POWERFUL SINGING, WHETHER POP OR CLASSICAL. AS ONLY AN ITALIAN TENOR CAN - BOCELLI PERFORMS ANGELS WE HAVE HEARD ON HIGH FLAWLESSLY WITH GRACE AND POWER. AMERICAN BORN, GREEK SOPRANO MARIAH CALLAS IS CONSIDERED BY MANY TO BE THE GREATEST OPERATIC SOPRANO OF THE TWENTIETH CENTURY - HER RENDITION OF AVE MARIA IS LIKE NO OTHER. 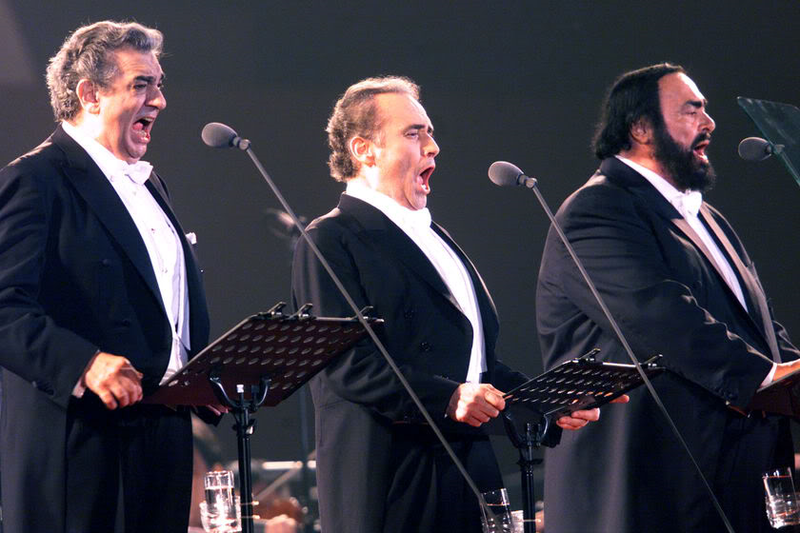 AND THEN WE HAVE THE THREE TENORS - LUCIANO PAVOROTTI, PLACIDO DOMINGO AND JOSE CARRERAS. THESE THREE GREAT SINGERS BROUGHT CLASSICAL MUSIC AND SINGING TO A HUGE AUDIENCE OF LISTENERS WHO UNDERSTOOD GREAT SINGING IS SIMPLY - GREAT SINGING. HERE IS FELIZ NAVIDAD LIKE YOU HAVE NEVER HEARD IT. NO. 5 ON THE CHRISTMAS COUNTDOWN - HOW ABOUT A LITTLE SOUL SUNDAY - OLD SCHOOL? LISTENING TO A BAZILLION CHRISTMAS SONGS DURING SHOW PREP - THAT'S WHAT THE RADIO GUYS CALL IT - I AM REMINDED OF THE GREAT MUSIC THAT CAME FROM THE GREAT SOUL SINGERS OF THE SIXTIES AND BEYOND. ALTHOUGH NOT SO MUCH NOW. FROM MOTOWN ARTISTS LIKE THE FOUR TOPS TO THE QUEEN OF SOUL ARETHA FRANKLIN, THEY WERE ON EVERY RADIO STATION YOU TUNED TO. AND I STILL HAVE SOME OF THOSE GREAT RECORDS. FORTUNATELY FOR US, THEY LEFT US WITH SOME GREAT CHRISTMAS TUNES THAT CAN ONLY BE DESCRIBED AS FANTABULOUS - I MEAN, IF YOU NEVER SAW THE FOUR TOPS OR THE TEMPS - WELL IT'S YOUR LOSS. ONE OF THE GREATEST GROUPS TO EVER COME FROM MOTOWN - THE FOUR TOPS WITH, ARGUABLY, THE GREATEST LEAD SINGER - THE ONE AND ONLY LEVI STUBBS, WHO, NOT ONLY RECORDED MOTOWN STANDARDS LIKE SUGAR PIE, HONEY BUNCH AND IT'S THE SAME OLD SONG, BUT WAS ALSO THE VOICE OF THE MAN EATING PLANT IN LITTLE SHOP OF HORRORS. FEED ME SEYMOUR!! - MERRY CHRISTMAS BABY BY LEVI STUBBS & THE FOUR TOPS. AND THE OTHER GREAT MOTOWN GROUP THAT GAVE US SUCH CLASSICS AS AIN'T TOO PROUD TO BEG AND MY GIRL, THE TEMPTATIONS GIVE US A SOULFUL MOTOWN THIS CHRISTMAS. WHEN IT COMES TO SOUL MUSIC, NOBODY EVER DID IT QUITE LIKE THE QUEEN OF SOUL - ARETHA FRANKLIN. WITH A VOICE THAT COULD MAKE YOUR FEET AND YOUR HEART MOVE, THIS ONE OF A KIND SOUL SINGER GAVE US CLASSICS LIKE CHAIN OF FOOLS AND R-E-S-P-E-C-T. MAN COULD SHE SING! ARETHA DOES WINTER WONDER LAND LIKE NO OTHER. IN MY HUMBLE OPINION, MACY GRAY IS ONE OF THE FEW CURRENT SINGERS THAT KEEPS THE SOUL FLAME BURNING. 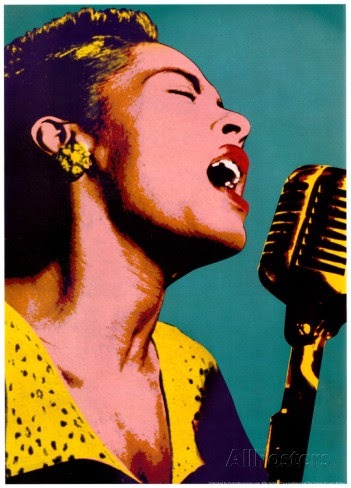 WITH A VOICE REMINISCENT OF THE GREAT BILLY HOLIDAY, SHE CAN HOLD HER OWN WITH ALL THE GREATS. FOR THE COUNTDOWN, MARY BRINGS US WHAT I WANT FOR CHRISTMAS. NO. 6 ON THE CHRISTMAS COUNTDOWN - IN HONOR OF SWINGIN' SATURDAY - LISTEN TO THE ONE AND ONLY'S DO CHRISTMAS IN A BIG KINDA WAY!! THAT'S RIGHT FELLOW VAGABONDS - TODAY FEATURES THE MUSIC MY PARENTS LOVED. BUT IT DIDN'T STOP WITH THEM. I USED TO FALL ASLEEP AT NIGHT WITH MY RECORD PLAYER PLAYING THOSE TUNES BY THE BEST OF THE BEST. I STILL SAY - EVEN AS A CHILD OF THE SIXTIES - THE GREATEST AMERICAN MUSIC EVER MADE WAS FROM THE LIKES OF SINATRA, DORSEY AND TORME'. AND IT'S STILL GOING STRONG TODAY WITH AT LAST ONE GUY WHO GETS IT. SO LISTEN UP KIDS - YOU MIGHT LEARN SOMETHING! I still have my scratched up LOU RAWLS LIVE album that I listened to regularly when I was in college. According to Wikipedia, none other than Frank Sinatra said Lou had "the classiest singing and silkiest chops in the singing game". Not bad kudos from the master himself. Here is Lou doing his soulful, big band version of CHRISTMAS IS. Man, what a voice! Nicknamed THE VELVET FROG, MEL TORME' was one of the greatest jazz vocalist on the planet. His voice and his panache with a phrase or a scatted lyric places him in The Nomad's Top Ten List of Ridiculously Great Singers. I hope you enjoy this CHRISTMAS MEDLEY done by Mel from his 1992 Album - Christmas Songs. The fedora, the loose tie and the walk says ring-a-ding baby! 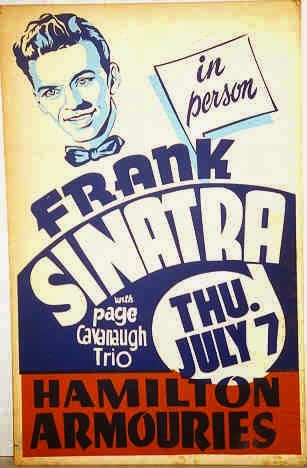 FRANK SINATRA was the first singer to make the girls faint. And it wasn't just about style with Frank. They didn't call him The Chairman of The Board for nothing. Here is Frank's take on LET IT SNOW. MICHAEL BUBLE' is the current keeper of the flame for this greatest of American music. A former wedding singer, Buble' hails from Canada and has said he knew he wanted to sing this kind of music he learned from his grandfather's records when he was just a kid. I would say he got his wish, and we are the better for it. IT'S BEGINNING TO LOOK A LOT LIKE CHRISTMAS from a real singer that reminds us of how great this music really is. And as a bonus - The band that played with Ole Blue Eyes - TOMMY DORSEY & HIS ORCHESTRA with their version of SANTA CLAUS IS COMING TO TOWN from 1935. Hope you have a RING-A-DING CHRISTMAS! NO. 7 ON THE CHRISTMAS COUNTDOWN - IT'S DIVA DAY !! THERE ARE FEW SINGERS WITH THE RANGE, POWER, TALENT AND CHUTZPAH WHO HAVE EARNED THE RIGHT TO BE CALLED DIVAS - AND NO I AM NOT TALKING ABOUT STREISAND OR ALICIA KEYS. HERE ARE A FEW TRACKS FROM SOME OF THE BEST TO EVER STAND IN FRONT OF A MICROPHONE. MARIAH CAREY is truly one of a kind. With a voice from up above and a ten octave range, she redefined what the term DIVA really means, particularly among pop singers. In my humble opinion, this is the greatest rendition of OH HOLY NIGHT ever recorded. Canadian CELINE DION is right there with the greats of contemporary singers. With a smooth, effortless delivery, every time she sings you just gotta stop what your doing and listen. Accompanied by impresario David Foster, her version of CHESTNUTS is smooth and powerful all at the same time. And last - We have a relative newcomer to the CERTIFIED DIVA category. With ridiculous vocal chops, JENNIFER HUDSON lays down some serious gospel funk in this medley of CHRISTMAS STANDARDS. Man, this girl can sang!! NO. 8 ON THE COUNTDOWN - I'T'S ALTERNATIVE CHRISTMAS MUSIC DAY WITH BONUSES GALORE! 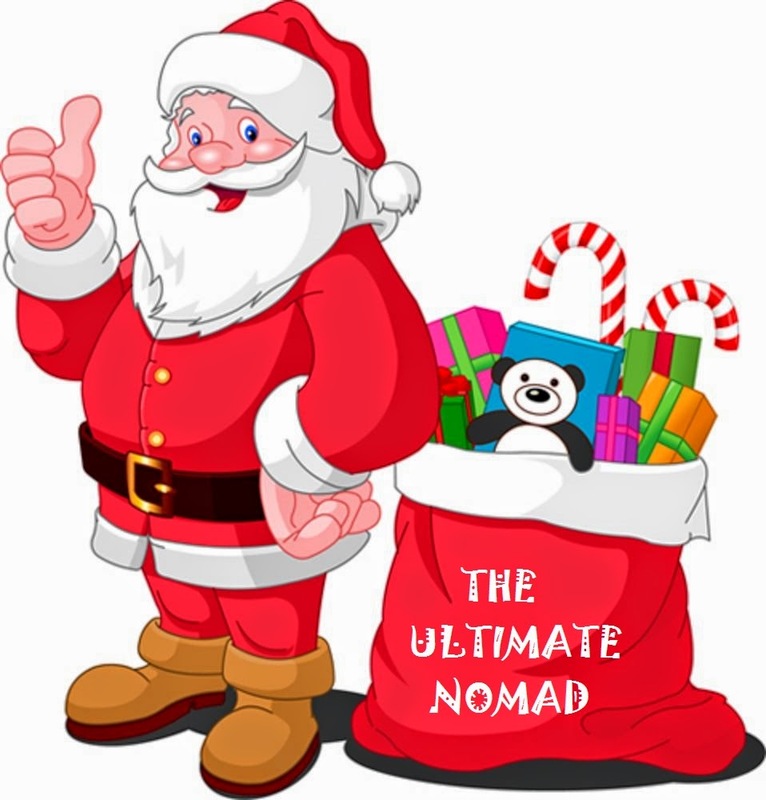 THAT'S RIGHT FELLOW NOMADS & CHRISTMAS REVELERS - DIRECT FROM THE OTHER SIDE - TODAY YOU WILL HEAR SEVERAL CHRISTMAS SELECTIONS THAT ARE PROBABLY NOT IN YOUR CD COLLECTION -WARNING - MAY CONTAIN STUFF THAT MAKES YOU WONDER AS YOU WANDER! FIRST UP - BLONDIE - THE 70'S PUNKER DEBBIE HARRY AND HER BOYS DO "WE THREE KINGS" - ONE WAY OR ANOTHER YOU WON'T FORGET THIS ONE! SECOND TUNE - FROM ONE OF THE TRULY GREAT TEXAS TROUBADOURS - THE ONE AND ONLY LYLE LOVETT - A CHRISTMAS TUNE ABOUT A GIRL FROM WAY DOWNTOWN SOMEWHERE - MY GUESS IS AUSTIN. WARNING - THIS TUNE HAS A COUPLE OF WORDS THAT MAY NOT PLEASE ALL. LYLE SHOWS US THAT CHRISTMAS HAS MEANING FOR EVERYBODY INDEED - THE GIRL WITH THE HOLIDAY SMILE. THIRD UP - MOST PEOPLE VIEW TOM WAITS AS AN ACQUIRED TASTE OR THEY HATE HIS MUSIC - WHEN I HEARD "THE PIANO HAS BEEN DRINKING" ALMOST THIRTY YEARS AGO BY THIS ONE OF KIND ARTIST, I BECAME AN INSTANT FAN - THERE IS WOEFUL PAIN IN EVERY NOTE HE SINGS - WHO BETTER TO INTERPRET ONE OF THE GREAT CHRISTMAS HYMNS - SILENT NIGHT? BONUS 4 - THERE IS ONLY ONE ANNIE LENNOX - FROM HER DAYS WITH THE EURYTHMICS TO PRESENT DAY, SHE ALWAYS PRESENTS HER MUSIC IN A UNIQUE WAY - THIS VIDEO OF "GOD REST YE MERRY GENTLEMAN" IS TRULY EXCEPTIONAL. AND LAST BUT NOT LEAST - BRINGING IT ALL INTO PROPER PERSPECTIVE - FUNNY MAN JIM GAFFIGAN AND HIS TAKE ON CHRISTMAS HOLIDAY TRADITIONS? Merry Ho Ho Ho to All Ye Merry Gentlemen & Gentlewomen! STRAIGHT NO CHASER - LIVE FROM INDIANA WITH THE BEST TAKE EVER ON THE CLASSIC TWELVE DAYS OF CHRISTMAS - AMAZING VOCALS WITH ONE OF THE MOST UNIQUE ARRANGEMENTS YOU WILL EVER HEAR. Acapella singing is just too cool. Trust me, it ain't easy! And these guys take it to a whole new level. And today's Bonus No. 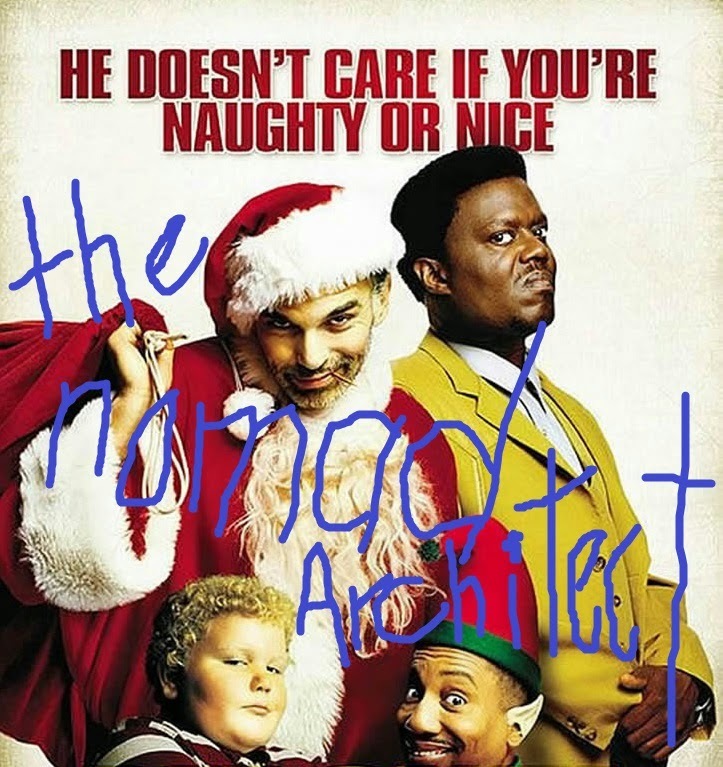 1- Take a listen to a Christmas tune written just for the latest annoying demographic group - the Millennials!- TEXT ME MERRY CHRISTMAS with Straight No Chaser and the voice of Princess Anna from Frozen - Kristen Bell - U R 2 COOL!! And Bonus No. 2 - Enjoy the great jazz pianist Marcus Roberts playing LET IT SNOW as only he can - Currently an Assistant Professor of Jazz Studies at Florida State University, Professor Roberts, with or without his acclaimed trio, should be on every Music Lover's Bucket List of people to see. NO. 10 ON THE CHRISTMAS COUNTDOWN - TWO SONGS & ONE POEM WILL INSPIRE YOU - IT'S BONUS TUESDAY! TO CELEBRATE NO. TEN OF THE COUNTDOWN, I HOPE YOU ENJOY TODAY'S INSPIRED SONGS AND POETRY BY LEGENDARY CHRISTIAN SINGER/ WRITER/ARRANGER MICHAEL W. SMITH WITH COUNTRY TALENT CARRIE UNDERWOOD, FORMER DOOBIE MICHAEL MCDONALD AND U2'S BONO. I sang my first solo at the age of six - K-K-K-Katy, a popular song from World War I. It was in a play - I don't recall about what - I just remember some toy soldiers. I also remember seeing my mother in the auditorium beaming proudly as her second son - not her first son - found his star, at least for that brief point in my young life. Since then, I have never stopped singing - solos, trios, large groups - you name it - usually in church or with the classic "Daddy sang bass, momma sang tenor and me and my brother would join right in" family quartet. Although, I did do some very nasty versions of standards like Stormy Monday and Mustang Sally in college, usually with the party house band. I also won the ninth grade talent show playing the Boogie Woogie Blues Jerry Lee style - Kicked the bench over and everything! But let's not brag too much. Why is this important, you ask? I have come to believe that my obsessive love of all music was inculcated in me from that fateful debut back at Sealey Elementary. And because of that, when I hear music delivered in a powerful, inspired way, I want to share that with anyone that has ears to hear. I hope you will be moved by today's Countdown Bonus Collection. The two songs and poem can be heard on Smith's latest release - MICHAEL W. SMITH & FRIENDS: THE SPIRIT OF CHRISMAS. First -ALL IS WELL with country diva CARRIE UNDERWOOD. Second - PEACE with the one and only soul master MICHAEL MCDONALD. And, last but not least, a poem - THE DARKEST MIDNIGHT - by world renown Irish Rocker - U2's BONO. Remember - If you can't hear the music you won't see the light! MERRY CHRISTMAS! HERE'S ONE FOR THE RUGRATS - GRACE POTTER & THE NOCTURNALS EXPLAIN IT TO THE KIDS IN TERMS THEY CAN UNDERSTAND. These boys and girls, Grace Potter and Her Nocturnals, are serious rockers - singin', riffin' and rockin' old school. This tune is for all of those parents that keep scratching their heads - What to do with Junior? Play this for 'em a few times and maybe they'll straighten up and fly right! GRACE POTTER & THE NOCTURNALS ON TODAY'S TUNE - NAUGHTY NAUGHTY CHILDREN - INDEED! THERE IS ONLY ONE DWIGHT YOKUM - THE CURRENT PURVEYOR OF COUNTRY MUSIC LOOSELY REFERRED TO AS THE BAKERSFIELD SOUND- 1950'S COUNTRY REBELS LIKE BUCK OWENS AND MERLE HAGGARD DREW THE PROVERBIAL LINE IN THE SAND WITH A HONKY TONK LACED COUNTRY THAT WENT AGAINST THE SLICK NASHVILLE SOUND OF THE TIME - IT PRETTY WELL ROCKED THEN AND CONTINUES TO ROCK NOW. Today's Countdown Tune is a great live performance by Dwight Yokum - the "Bad Guy In Sling Blade" - RUN RUN RUDOLPH. NO. 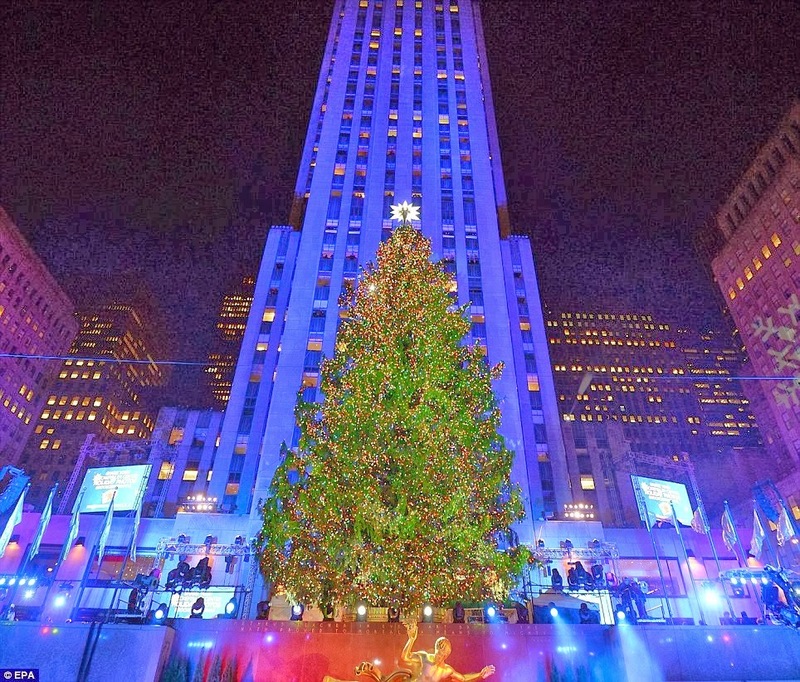 13 ON THE CHRISTMAS COUNTDOWN - THIS TIME IT'S LIVE FROM NEW YORK VIA TALLAHASSEE - VERY MERRY INDEED! WINTON MARSALIS AND HIS JAZZ AT LINCOLN CENTER ORCHESTRA DECIDED TO PAY A VISIT TO MY HOME TOWN AS PART OF THE FLORIDA STATE UNIVERSITY SEVEN DAYS OF OPENING NIGHTS ARTS FESTIVAL - AND TO SAY THAT THEY DID NOT DISAPPOINT IS AN UNDERSTATEMENT OF LEGENDARY PROPORTIONS! Unlike most of my friends, I grew up listening to the likes of Basie, Ellington, Satchmo, Sinatra, Jimmy Dorsey, Benny Goodman and on and on and on. I still have albums of some of the greatest artists from the golden age of American Music - the Forties - when American Jazz firmly established itself as OUR music. And, the best of the best? BIG BAND MUSIC! There's just something about that wall of horns and a tight rhythm section - well - I could wax eloquent - but just listen to the music! When it was announced that Marsalis and his guys were going to be here, I jumped on it. And, as luck would have it, the show was the night we arrived home from a great week in NYC. Today's Countdown Tune features an amazing singer with the band - Cecile McLorin Salvant. She's only 25 and destined to be a legend. Listen up as she delivers a killer arrangement of the classic HAVE YOURSELF A MERRY LITTLE CHRISTMAS - ENJOY. IT'S OUR LAST NIGHT IN THE BIG APPLE AND WE ARE GOING OUT WITH GEORGE BALANCHINE AND THE ONE AND ONLY NUTCRACKER BALLET BY THE NEW YORK CITY BALLET COMPANY PERFORMED AT THE WORLD RENOWN DAVID H. KOCH THEATRE AT LINCOLN CENTER, DESIGNED BY ARCHITECTURAL GADFLY AND PURVEYOR OF POPULAR ARCHITECURAL TRENDS PHILLIP JOHNSON. 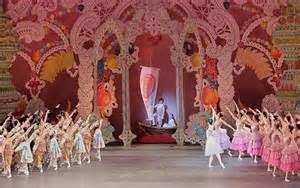 Since it was virtually impossible to find an outtake of this great work of dance and music, I have posted a production of THE NUTCRACKER in it's entirety. If you have a couple of hours to kill, its worth every minute. With an original music score by Tchaikovsky, Balanchine was a brilliant master of dance innovation and the NYC Ballet performs it flawlessly. If you don't have the time, just take a stroll through it, click and enjoy some moments. It captures this great season of joy like nothing else. Tonight we see the Broadway Show - The Jersey Boys - about the life and times of one of the most iconic and prolific pop/rock & roll groups in history. My guess is this tune will not be in the show - but it's worth a listen. FROM 1963 - I SAW MOMMY KISSING SANTA CLAUS BY FRANKIE VALLI AND THE FOUR SEASONS. NO. 16 ON THE CHRISTMAS COUNTDOWN - HOW DO THEY FIND THAT MANY DANCERS THAT LOOK EXACTLY ALIKE? DAY TWO IN GOTHAM - TONIGHT IT'S THE ROCKETTES - IT'S LIKE SEEING ELVIS, THE BEATLES OR THE YANKEES PLAY RIGHT? YOU CANNOT COME TO NYC AT CHRISTMAS AND NOT SEE THE WORLD FAMOUS ROCKETTES. Didn't we all grow up with the Rockettes? Seeing them on the occasional TV special when I was a kid seemed to bring the tradition of Christmas right into the living room. I must admit, I didn't really get it back then, but my mom always sat transfixed to the tube when they were on. Some say it might be a little cheesy, but who cares? This one of a kind dance troupe has been strutting their stuff since 1925. And the venue - Radio City Music Hall is an American icon. Funded by the richest dude ever - John D. Rockefeller, this great music hall is a part of the great lineage of musical theatre that is New York. The first show in this grand venue was December 27, 1932 and featured, among others, the immensely talented Ray Bolger - the Scarecrow in the Wizard of Oz starring the great Judy Garland. 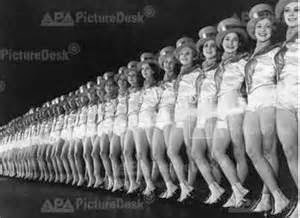 So, in honor of the one of the greatest dance and musical traditions in America- please enjoy a little number from the chorus line of chorus lines - ROCKETTES CHRISTMAS. That many gorgeous legs high kickin' on one stage is an amazing thing to see. Very Merry Indeed! 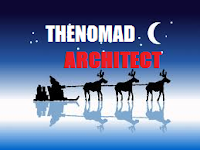 WE ARE HERE - THE PERFECT PLACE FOR NOMADS AT CHRISTMAS TIME - THE GREAT WHITE WAY - THE BROOKLYN BRIDGE - THE FREEDOM TOWER - TIMES SQUARE - CENTRAL PARK - MOMA -THE MUSIC - THE SHOWS - THE FOOD & CHRISTMAS TIME IN THE BIG APPLE. That's right fellow Nomads - The Nomad Architect & His Lovely are headed to NYC for a long awaited trip that's been on my one and only's Bucket List forever. NEW YAWK CITY for CHRISTMAS!! Hopefully, we beat the crowds that were here last week and, hopefully, Al Sharpton and the political malcontents have not burned the center of the Christmas Universe down by the time we get there. It's supposed to be very cold, so I would simply request a few weather prayers from all of you true believers. I am a southerner after all and do not understand how ANYONE could live north of the Mason Dixon. As the great fifties southern comic, Brother Dave Gardner said - The only reason people go up north is that they have jobs up there - You ain't never heard of nobody retirin' to the north! So to celebrate our arrival in the most cosmopolitan of cosmopolitan places - take a listen to Paul Safy Jr, one ridiculous jazz singer, from America's Got Talent no less - lay out the perfect tune to get the nomads from down south in the mood for the city that never sleeps - NEW YORK AT CHRISTMAS. Resident Gaither Vocal Band funny man, Mark Lowry, along with Buddy Greene, got downright serious when he penned this great anthem of admonition to Mary, the Mother of The Messiah. The words are made even more powerful in the hands of this exceptional five member acapella group of vocal maestros. So please enjoy the second tune from Pentatonix on the countdown as they deliver one of the most poetic and inspired versions of this classic Christmas anthem. JUST FOR GOD'S DAY - ONE OF THE TRUE CONTEMPORARY JAZZ MASTERS - HARRY CONNICK, JR. WITH A LITTLE HELP FROM GOSPEL GREAT KIM BURRELL - BRING A FUNKY VERSION OF I PRAY ON CHRISTMAS. THE PIANO, THE VOICES AND THE FUNK REMIND US OF A SIMPLE PRAYER - ENJOY. My son and I had the distinct pleasure of singing this classic Christmas tune with about 800 of our closest friends at the famous Variety Theatre/Club in Atlanta in 2013. Like one of his best friends, Lyle Lovett, Robert Earl is a master of Texas poetic irony. Everybody, and I do mean everybody, knew every word. Come on, admit it, you all know you have kin that will cause a chuckle, a laugh out loud or even a guffaw when you hear this song. And the video captures the essence of the true Christmas Spirit on the other side. SO WITHOUT FURTHER ADIEU - HAVE A LISTEN AND A LAUGH FROM ROBERT EARL KEEN'S CHRISTMAS CLASSIC - MERRY CHRISTMAS FROM THE FAMILY. NO. 21 ON THE CHRISTMAS COUNTDOWN - ACAPELLA ANGELS WE HAVE HEARD ON HIGH - OH MY!! All singers want to sing acapella. And all real singers want to sing acapella with a ridiculously talented group like PENTATONIX. In this techno-age of lip syncing, semi talented pop stars and over production with 128 multi-tracking studio machines that can literally change tones, pitches, rythms - you name it, it is indeed refreshing to hear all of that stripped away so you can just hear real vocals by real singers. TODAY'S COUNTDOWN TUNE - ANGELS WE HAVE HEARD ON HIGH BY PENTATONIX. Three years running, this tune rocks in a 40's kinda way. With this generation's crooner - Big Band Singer of Record along with the best vocal jazz trio since the Andrews Sisters. They ain't too bad lookin' either! SO CHECK OUT JINGLE BELLS THE WAY ITS SUPPOSED TO BE - FAST & HOT - MICHAEL BUBLE' & THE PUPPINI SISTERS. Praise for Lil Ed & The Blues Imperials - "A bazooka assault of foot-stompin' blues and slow-burnin' knee-bucklers." Heard these guys this morning on IMUS - Just had to let everybody in on the secret. With sick riffs and slide to go, Lil' Ed delivers blues from the gut. This will get your motor running to face the cold cruel world & bring a smile to your face in the wee hours waiting for the Big Red Man to deliver the goods. LONELY CHRISTMAS CALL BY GEORGE JONES - A TRUE,BLUE CHRISTMAS CLASSIC. TWELVE DAYS AND THEN SOME! I grew up listening to the likes of Dorsey, Crosby, Sinatra, Glenn Miller et al. But a friend put some headphones on me in architecture school with Stan Kenton's Malaguena playing. I have been hooked ever since. Kenton was always leading the charge for what eventually became known as "the wall of sound". This classical/big band/jazz arrangement by Kenton and his orchestra will get us started in the right direction to celebrate Christmas in music. ENJOY - THE TWELVE DAYS OF CHRISTMAS BY STAN KENTON & HIS ORCHESTRA! A TRADITION BY ANY OTHER NAME - MERRY CHRISTMAS !!!!!!!!! CELBRATE - CELEBRATE - DANCE TO THE MUSIC!!!!!!!! It's official - a tradition has been born. Five years of Christmas music and memories comin' atcha! So how's it been for you and yours? This has been a very, very, very fast year. We still have the same sorry economy, more wars and rumors of same, political insanity at every turn - it seems to never end. And just when you thought the culture had had enough of the serial narcissists - aka Miley, Gaga, Blige - the big butted Kardashian bears all. Proof that we are sliding faster down the slope. But once again, Christmas reminds us of the reason for the season and all that is good within us. Christendom's story is unaltered and more relevant today than ever - The King of Kings came by a virgin, lived, died and arose - thereby making it possible for believers to have eternal life. Inevitably, in all of our lives, things happen - unexpected things. Health challenges, family losses, family dustups, long distance pinings - etc.- etc.- etc. All of this "stuff" gets trumped by the Christmas spirit. All you have to do is embrace it and spread the love. And let's make a promise to ourselves. From now until the big day - no complaining, no whining, and no negative thoughts. That will come in January when you get the bills! Once again- I genuinely hope that this year's CHRISTMAS COUNTDOWN will lighten your load or make you realize that your treasure is right in front of you. And most important, hold on to those you love and care about and don't let go, well at least until its time to eat! And this year I want to say a personal thanks to my family and friends who helped me and mine through some pretty tough situations this year. I get up every day and thank my Christ for all of you. I am not going to name names, because I will leave somebody out - but you all know who you are. Once again, I will continue the undaunted search through every music collection, You Tube Video, Spotify, Tune-In, my own CD's, you name it - to find new and different tunes to keep it fresh - but some standards are still included to keep it real. If you run across something you would like to see included, please email the link(s) to me at dstafford1@msn.com. MERRY CHRISTMAS...REMEMBER - IF YOU CAN'T HEAR THE MUSIC YOU CAN'T SEE THE LIGHT. Get ready- No. 25 on the 2013 XMAS Countdown will be here later today - Promise! P.S. All tunes are best listened to with a killer set of headphones!